Originally published on TecQuipments’s website – May 2018. 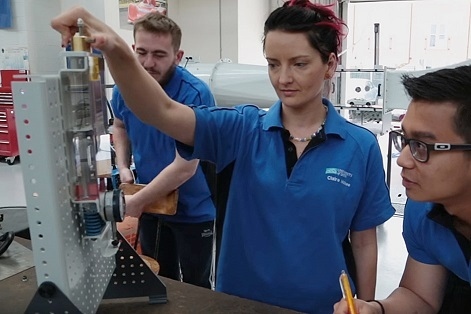 In this blog post, Dr Ben Simpson, Senior Lecturer in Mechanical Engineering from Nottingham Trent University looks at the changes in engineering education over the last 20 years, and the importance of a greater emphasis on bringing theory into practice through a practical based learning approaches. Engineers are being asked to be evermore inventive, to solve progressively more complex challenges with increasingly more eloquent solutions. Therefore, there is a requirement for engineering undergraduates to be adaptable, agile in thought and occasionally be able to think differently. There has been a decisive change in engineering education over the last 20 years. A transformation from an intense mathematical and theoretical study approach to a more practical approach with an emphasis on design. Gaining a competitive edge The increasingly competitive tertiary education sector has left every educator seeking points of differentiation for their programs in order to attract students. Engaging and retaining students Approaches to learning can be described in terms of the what (the value of what is being learnt), the why (the motive for learning) and the how (the strategic approach taken to learning). In a more general sense, educators discuss both surface and deep approaches to learning. A surface approach is adopted by a student who sees little value in the learning material and their motivation is simply to reproduce information to meet the demands of the course and to get a pass mark. A deep approach to learning is adopted by a student who sees great value in the knowledge they discover for continual mental growth and change. The student is motivated to make sense of and to find meaning in the information they receive and they seek to relate the new knowledge to previous knowledge and apply it to everyday experiences. So how can students be encouraged to fall in love with their subjects and intrinsically adopt a deep learning approach? Growing classroom sizes In many markets around the world, including the UK, there continues to be a shortage of engineers1. This often leads to larger class sizes, especially as universities seek resource-saving synergies such as shared first year modules. Adapting to a changing world The maturing information and cyber ages are having significant impact on both educational approaches and engineering practice. How do educators adapt the learning environment to account for and take advantage of these changes? Meeting employer’s needs Increasingly engineering undergraduates are finding employment with small to medium size enterprises2. 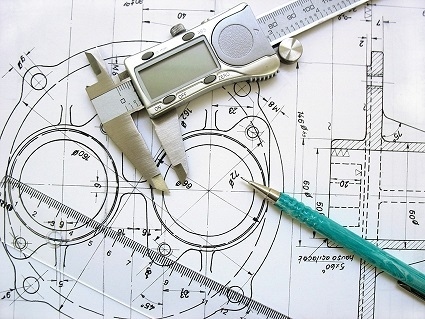 Employers are calling for graduate engineers to be innovative, self-motivated and creative problem solvers, as well as possessing up-to-date knowledge and skills. How can tertiary educators develop courses that can meet these challenges? What is your teaching philosophy? As it turns out this is a very important question since our teaching philosophy is the foundation of our teaching practice. It is also a loaded question since there is no perfect philosophy and our teaching methods are often constrained by many factors including time, resources and the current political will of our parent institution. What can be agreed upon is that engineering is a very hands-on discipline and so engineering educators have naturally adopted teaching methods that encourage the student to do something. For example, laboratory sessions are common in most engineering modules. The philosophy of ‘doing’ can be found at the heart of many learning approaches such as active learning, blended learning, project based learning, problem based learning, discovery based learning, and experiential learning. All these ideological approaches have their roots in constructivism. When applied to education, constructive approaches focus on helping students build knowledge by making meaning between their experiences and their ideas. However, before we get lost in the confusing and often unproductive world of educational ideologies, let us review some methods that may be able to meet the challenges outlined before. Initial engagement The students must be inspired to want to learn the subject. This may be achieved through mini lectures (no more than 20 minutes) which include some fundamental concepts, demonstrations and authentic industry based examples. Knowledge exploration Based on the student’s current knowledge, the students are allowed to explore a topic. It is probably wise to offer guidance to students exploring a topic. In the information age, many uncollaborated sources of information are accessible through search engines. Action Design, build, report. The important aspect of action is to apply the learnt knowledge and skills. This is commonly performed in a graded assessment. Reflection It is important that the students reflect on what they have learnt and how their new knowledge fits with previous knowledge. Reflective exercises can also help the students express what they still do not know and help them develop more sophisticated problem solving strategies. Application It is important that the cycle be completed by giving the students opportunities to apply their new knowledge and test their new strategies. In combination with learning cycles, engineering educators seek to set challenges based in the real world. When possible the students can be encouraged to develop creative and innovative solutions and to communicate clearly their strategies and outcomes. Despite this learning approach having many benefits there are also many challenges. Tutors often find that the high resource and contact time requirements are prohibitive, especially with large class sizes. Furthermore, a practical based learning cycle approach may require new assessment items and other supportive documentation to be prepared by time poor academics. So for many the continuation of lecturing, tutorials and laboratory sessions is the only option that can be prepared by the start of term. However… with some inventiveness maybe some of these challenges can be overcome. For example, tutors could encourage peer-to-peer learning, invite industry collaborates into the classroom to mentor, and create learning environments that help students understand their limitations and allow them to learn at their own pace. It is clear that there is no magical concept that will suit all educational scenarios. So maybe in the future engineering educators will be required to be more like their graduates. They will need to be adaptable, agile in thought and to occasionally think differently. Engineering UK 2017 – the state of engineering. Engineering UK report. Business population estimates for the UK and regions 2017, Nov 2017. Department for Business, Energy & Industrial Strategy. This blog post was written by Dr Ben Simpson, Senior Lecturer in Mechanical Engineering at Nottingham Trent University, UK.